Those looking to satisfy a vintage rock sweet tooth need look no further than power trio "Candy's River House". This band leaves little to be desired at their all out, high energy performances. With Jordan Young on guitar/vocals, Gabriel Slatten on drums and Nathan Simpson on bass, the group has shared the stage with the likes of Walter Parks, Old Man Markley, Jarod James Nichols, Eric McFadden, Royal Bliss and White Lion, to name a few. Candy's River House is the next generation, the offspring of every hard rock band leading the way over the last 40 years. Influences of Nazareth, Lynyrd Skynyrd, Cream and Deep Purple all come together to create a solid album and live performance. Candy's River House is a band that stands the test of time, and travel. Founding member, Jordan Young, has led this rock trio from coast to coast since 2009. 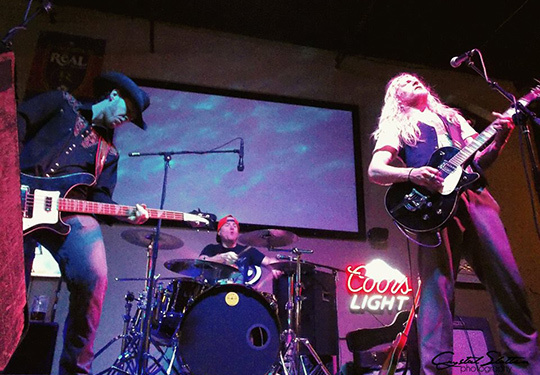 Having played and developed their classic style in middle Tennessee, "CRH" is laden with a southern flare [and fire] which is apparent in Jordan's guitar work and lyrics. With songs like "Single-wide Sally" and "Only Ten I See" hitting you right out of the gate, it's a sort of southern sunshine drenched, rock & roll powered good time for a broad range of fans nationwide. Originally, as a self managed/produced group the guys stay very busy on the road with high energy, relentlessly paced shows. With the release of their new EP * STOLEN IN THE MIDDLE OF THE NIGHT *, the group is anxiously looking forward to the future, the road... and as always, wild rock fans and great rock shows. 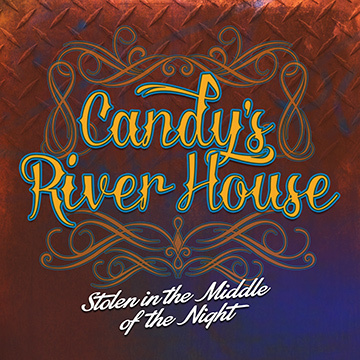 Candy's River House albums are published and distributed by Midnight Records Productions.